Is a Special Diversion Court Program Right for Me? The National Association of Drug Court Professionals reports that in a study of thousands of past offenders, roughly 75 percent of those who successfully completed drug court diversion programs remained free from further arrests two years later. No doubt, there is a lot of merit to treatment courts or diversion programs. But they are not for everyone. If you’ve been arrested and charged with a crime involving alcohol or drugs, you may have options. In Maryland, there are several types of diversion programs to consider. Here are some things to consider when deciding if a diversion program is right for you. Depending on the size of the county and funds available, these may be consolidated. For instance, Prince George County offers a variety of specific and very narrowly tailored diversion programs to keep people out of jail. Nevertheless, the goal is the same. These separate court programs offer an alternative to incarceration and traditional punishment. Instead of going to jail, the offender voluntarily submits to getting help. He or she then proceeds through the program, following each step in the process carefully, until the program is completed. Once the program is successfully completed, the person is able to move on with life without going to jail and with a clean bill of health. How Do I Qualify for a Diversion Program? What Will I Have to Do During a Drug Court Program? While in a program, you will have a regular meeting with a case manager, you will be subject to random drug tests, and you will have to maintain employment or be in school. You will check in frequently with the judge and report your progress. Any slip ups must be reported, and if you return to your old habits, you could lose the right to participate. This means you could be in the program for a year or more and still end up stuck with your original sentence and go to jail because you could not keep up with your requirements. Is a Diversion Program Worth It? 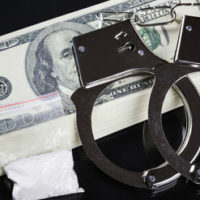 Under Section 5-601 of Maryland’s Criminal Code, a person convicted of illegal possession of a prescription drug can face up to $25,000 in fines and 4 years in jail. So, there can be a lot of benefits to getting clean and staying out of the prison system. Remember, however, you generally have to plead guilty to the offense. Likewise, you should not discuss these options with the police or a prosecutor without your own attorney present. You could unwittingly admit crimes that do not qualify for the program, thereby causing bigger problems. The Law Offices of Todd K. Mohink, P.A. represents those accused of drug crimes throughout Anne Arundel County and the surrounding areas. With two offices to conveniently serve you, call or visit us online to get help today.